Gil was born in Chicago, Illinois, and raised in Columbus, New Jersey. His father was a truck driver and his mother a bookkeeper. He attended an Assemblies of God church most of his life. As a teenager he was involved in his local church assisting several ministries. At the age of 17 he was filled with the Holy Spirit and shortly afterward began to sense God calling him into ministry. While in Bible school, Gil took a month-long missions trip to Chile. This began to solidify his calling into missions. After graduation he went to Paraguay for a year as a MAPS worker, where he met Gladys, a Paraguayan who had been saved during the revival period. Both sensed a strong calling for Spain. They were married in November 1991 and continued to serve in their local church. In October 1994 they were approved as missionaries with the Assemblies of God, arriving on the field in March 1996. 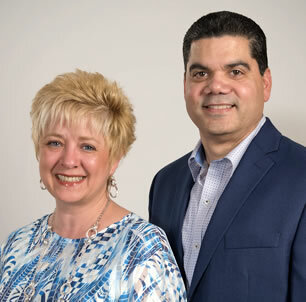 Gil and Gladys served in Spain as church planters, Bible school teachers, and field administrators. They conducted leadership training and assisted with humanitarian aid outreaches. In September 2011 they were asked to serve as area directors for Southern Europe, which encompassed the Canary Islands, Portugal, Spain, Italy, Malta, Greece, Albania, and Kosovo. In 2013 they assisted in another church plant in Madrid, which now has a regular attendance of over 400 with several satellite churches. In March 2017 Gil was asked to serve as director of Mobilization for Assemblies of God World Missions in Springfield, Missouri. Gil has master’s degrees in biblical literature and theology and an M.Div. from Assemblies of God Theological Seminary. Gil and Gladys have two children, Ivana and Joshua.